Collaborate with local planners and government. Eelgrass meadows represent one of the habitat types that are threatened by estuarine development. Various types of disturbance in coastal and estuarine environments have led to a decline in seagrass abundance around the world. 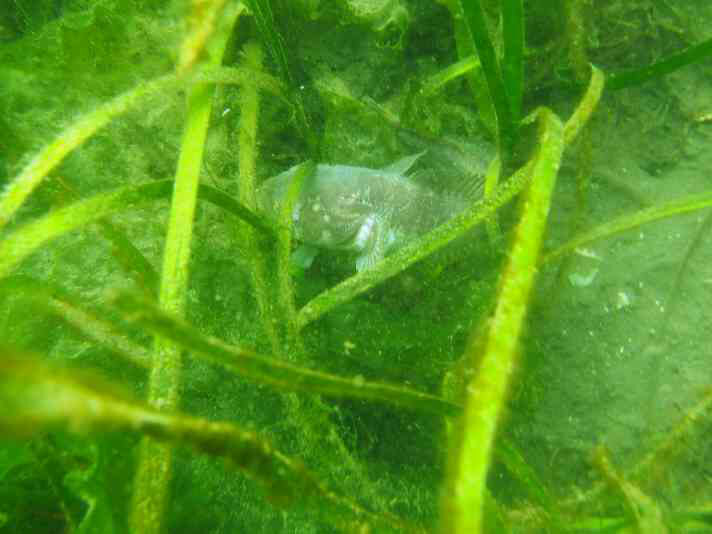 Seagrasses, including eelgrass have been used as indicators or nearshore ecosystem health in many areas of the world. The complex and intricate food webs of an eelgrass meadow rival the world’s richest farmlands and tropical rainforests. From an unstructured muddy/sandy bottom grows a myriad pattern of leaves that supply nutrients to fish, shellfish, waterfowl and about 124 species of faunal invertebrates. The plants offer surface area for hundreds of species. 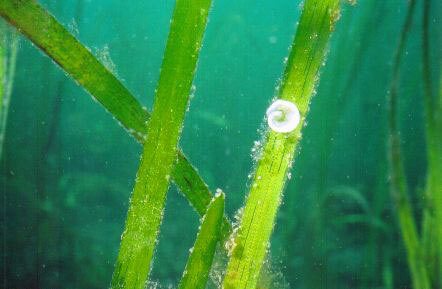 The high biological diversity available in eelgrass systems provides food in several ways. In the Trent River delta on Vancouver Island, for example, 124 species of birds have been identified, over 38,000 individuals. Forty eight per cent were observed using the intertidal eelgrass (Z. japonica) of the delta for feeding, foraging or preening at some time during the year. 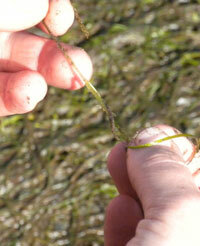 Native eelgrass (Z. marina) plants retain their leaves year-round. Because the plants are rarely exposed to air, the leafy habitat is available to marine animals almost continuously. Living in the web of blades, animals, including juvenile salmon, young herring, plume hydroids, nudibranchs, anemones, jellyfish, clams, scallops, cockles, shrimp, spider, red rock and dungeness crabs, sea stars, moon snails and sand dollars find protection and food. The mat of underground rhizomes prevents the easy movement of predators into and through the sediment, and the thick canopy of blades makes quick movements by larger predators (fish and birds) more difficult. Central to the marine food web is the Pacific herring, contributing 30% to 70% to the summer diets of Chinook salmon, Pacific cod, lingcod, and harbour seals in southern B.C. marine waters. Herring roe constitutes an important component of the diets of migrating seabirds, grey whales, and invertebrates. About 500 linear km of B. C. coastline turn milky-white every March and April as a result of the herring’s release of sperm around the eggs (roe) spawned directly on eelgrass and also on algae which is often epiphytic on eelgrass. Eelgrass detritus provides the basis for a chain of consumers in the open ocean living as far as 10,000 meters in depth. 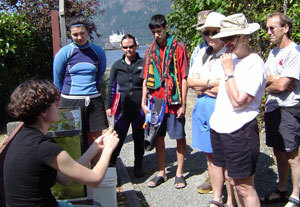 The extensive root system of the plants helps stabilize sediments and prevent erosion along the BC coastline. 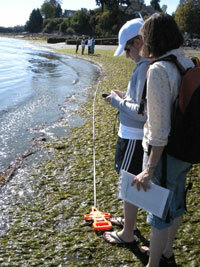 Damage to eelgrass can affect an entire ecosystem as well as the stability of our shorelines.